You can learn a lot about a person based off of what they cherish. 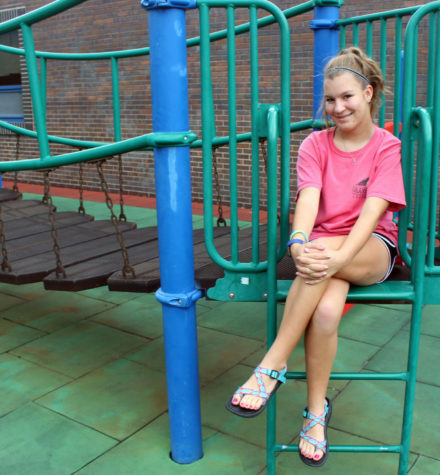 Freshman Sydni Meyer values her friends and family. Besides her values, Meyer wants everyone to know that she’s very committed to band. In the future, Meyer doesn’t know if she wants to continue band, but she does have plans to go to the Coast Guard Academy and become a chef. Although the journalism skills Meyer will gain can’t exactly help her become a culinary artist, it can help her reach some of her goals for this year. “I’m looking forward to making new friends and memories,” Meyer said. Even though Meyer will be spending an abundance of her time being a voice for Liberty high school’s student body. Hopefully the combination of Meyer’s school spirit, friends, and zealous attitude will help her accomplish her newspaper and general goals for the school year. And maybe through the work she cherishes you will be able to learn about who she is a journalist, friend, daughter, sister, student, and bandmate.